The fruit flavored vodka with the only the best balance of ingredients: 100% grain vodka and lots of fruit, creating a smooth alcoholic content of 25%. It’s a mix that meets the needs of today’s consumers, who have become all the more discerning, as well as bartenders, who look for top quality products when preparing the latest in a fresh-fruity cocktail. 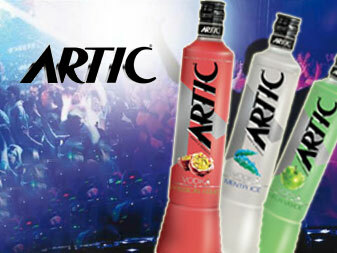 Artic Frutta is always perfect in a wide array of cocktails, chilled or straight-up in a shot glass.